Got clogged drains? It can happen to anyone, even if you don’t do anything wrong. After all, much more than just water flows down your sink, shower and tub drains – it’s the grease, oil, hair, dead skin, soap, detergent and other gunk that build up on the inside of your pipes. Over time, this can cause a slow drain or a complete blockage. The question is this: should you use a chemical drain cleaner or call a plumber to clear the clog? We’ll explore the pros and cons of these options, as well as a few other drain-cleaning methods you might try. Unfortunately, the easiest option – pouring a few cups of chemical cleaner down the drain – is also the most harmful. Many of these products contain bleach, lye, acid or other harsh substances that generate heat and break away the gunk in your pipes. It may sound effective, but caustic chemicals can eat away at your pipes if used frequently. They also contaminate the municipal water supply. If you go the route of drain cleaning products, opt for a natural biological version that uses bacteria to eat through gunk in your drains. 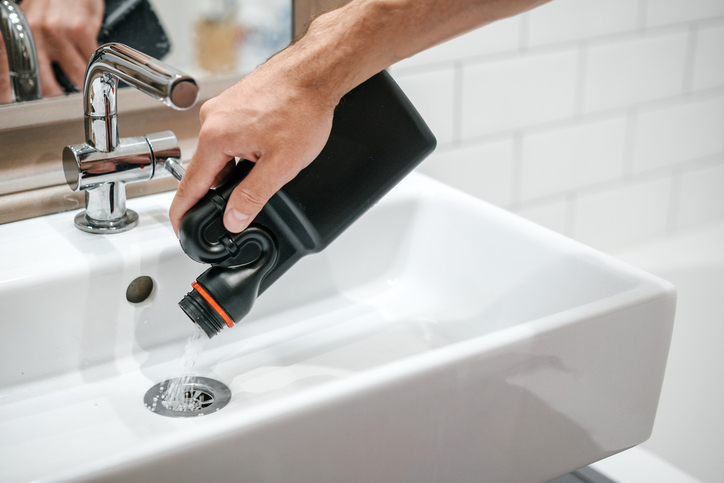 The results aren’t as immediate, but when used as a preventative measure, bio drain cleaners can stop clogs before they start. If you’re not ready to call a plumber just yet, there are other chemical-free methods you can use to clear your backed up drains. First, try pulling the blockage out. One option is to straighten a metal coat hanger with pliers and bend the tip into a small hook. Insert this into the drain and fish out debris lodged as far down as the trap, the U-shaped pipe located right below the sink. If the blockage is out of reach of your coat hanger, try a plumber’s auger next. You can find this tool, also known as a plumbing snake, at a local hardware store. Another option is to plunge the drain – but don’t grab the toilet plunger to unclog other drains. Hardware stores sell small plungers designed for use in sinks, showers and bathtubs. If your do-it-yourself methods aren’t enough to clear your clogged drain, it’s time to call in the professionals. Plumbers have a whole arsenal of tools at their disposal to help get your pipes back in shape. Motorized plumbing snakes with extra-long cables can reach clogs located deep within the pipe. That’s a good start, but hydro-jetting is even more effective. This involves inserting a special plumber’s snake with a camera on the end into the drain. When a blockage is spotted, the plumber blasts it away with a high-pressure stream of water. The toughest blockages – even those caused by tree roots – don’t stand a chance against hydro-jetting!  If you need professional drain cleaning services in the Monroe Township, NJ area, please contact Bob Hoegler Plumbing today at 732-521-0133.